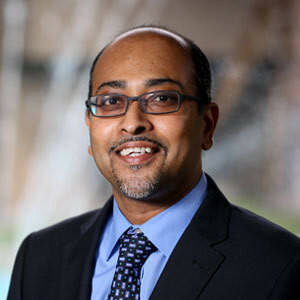 Arjun P. Dutta, B. Pharm., Ph.D.
Dr. Arjun Dutta holds a BS degree in Pharmacy from Jadavpur University in India. He then completed his PhD in Pharmacy Administration from the Medical College of Virginia, Virginia Commonwealth University. Dr. Dutta specializes in Outcomes Research including the areas of Pharmacoeconomics, Quality of Life, and Epidemiology. Dr. Dutta has published extensively in Pharmacy Education including assessment of the curriculum, student admissions criteria, progression, and retention. Dr. Dutta has been involved in academic pharmacy for the past 22 years and has successfully started three pharmacy programs as a founding administrator in Oregon, New York, and California. His decanal appointments (over 12 years of administrative experience) include serving as the Interim Dean as well as Sr. Associate/Assistant Dean for Academic & Student Affairs at three new colleges of pharmacy. Prior to joining academia, he was an Outcomes Manager at a health economics firm specializing in Phase IV research for pharmaceutical companies. Dr. Dutta has over 71 publications in the form of research articles, abstracts, and book chapters in various peer-reviewed journals and professional meetings. He has received both federal (AHRQ, HRSA) and private funding and has conducted research in the areas of health services and outcomes assessment. Dr. Dutta has also been invited to speak at both national and international meetings.Arjun enjoys travelling with his wife and two sons and is an avid reader and NFL-fan. He and his wife used to regularly compete in Ballroom Dance competitions.